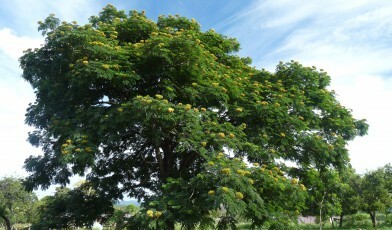 The faveiro-de-wilson is an extremely rare Brazilian tree found only in the southeastern state of Minas Gerais. It grows between cerrado savannas and the Atlantic forest, adapting to these varied conditions with the help of associated nitrogen-fixing bacteria in the soil. 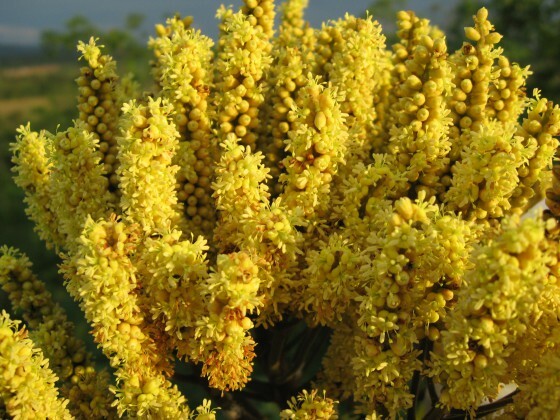 Adults can reach 17m in height, and have large compound leaves, big pods of reddish-brown beans, and dense clusters of small, yellow flowers with a faintly fishy smell. This is a species that’s never been well-known. It was only discovered in the 1960s and has no specific uses, though in the mid-20th Century it was swept up in extensive deforestation for charcoal and industrial firewood. When it was assessed for the IUCN red list in 2006 only 10 adult individuals were known, but an extensive, eight-year search led by scientists from Belo Horizonte’s Jardim Botânico da Fundação Zoo-Botânica has since found a total of 219 adult trees and 68 young. Although this shows the faveiro-de-wilson population is much bigger than previously thought, the species is still Critically Endangered: its habitat is fragmented and declining, and only three of the isolated trees are in an area that’s even weakly protected. Agricultural and urban expansion are additional threats: young trees struggle to develop among exotic Urochloa grass in cattle pastures, and the five million inhabitants of Greater Belo Horizonte, Brazil’s third largest metropolitan region, are just to the south. 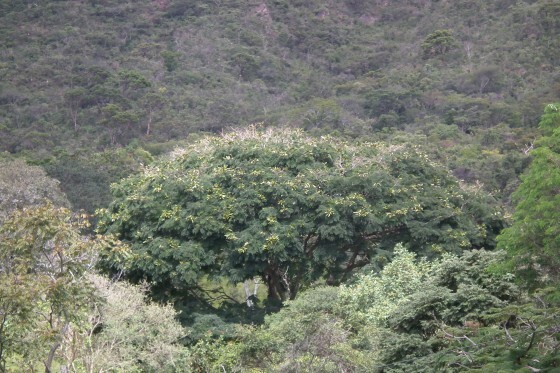 Faveiro de wilson in its habitat, a transition area between the Cerrado (Brazilian Savanna) and the Atlantic Forest. Credit: Fernando M. Fernandes. Faveiro-de-Wilson also seems to struggle with seed dispersal. It may have evolved to depend on now-extinct megafauna (ground sloths, elephant-like gomphotheres, and heavily-armoured glyptodont armadillos), with lowland tapirs filling in for the last 10,000 years. But now they too are threatened and are absent from this area. The only remaining animals large enough to spread the seeds around are cows, so – ironically – the cattle farming that threatens the faveiro-de-wilson’s future may also have a role in its survival in the wild too.